Sunshine Title Corporation - Jacksonville, Florida-What Are Closing Costs? Closing costs or settlement costs are an accumulation of separate charges paid to different entities for the professional services associated with the buying and selling of real estate. Title Insurance Premium. Fee paid by an individual to insure he has a marketable title or - in the case of a lender - to insure their lien position. Real Estate Commission. Fee paid to a real estate company for services rendered in listing, showing, selling and consummating the transfer of property. Transfer and Assumption Charges. Fees charged by a lender to allow a new purchaser to assume an existing loan. Recording Fees. Fees assessed by a county recorder's office for recording the documents of a real estate transaction. Loan Fees. 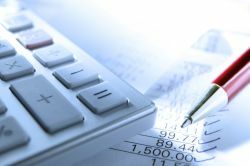 Fees charged by a lender in connection with the processing of a new loan. These may include points, origination fee and credit report. Escrow Fees. Fees charged by a title and/or escrow company for services rendered in preparing documents necessary in consummation of a real estate transaction. Additional Settlement. Taxes, insurance, impounds, and interest prorations; termite inspection fees. An agent will be happy to review the above and other closing costs with you and explain them before you finalize your transaction and take ownership of your property. Just how much is the title insurance going to cost you? Not as much as you probably think. Only a small percentage of closing fees are actually for title insurance protection. Title insurance is less than 1 percent of the purchase price of your property.